Spent a day and a half in the city of Lucknow where we had gone to meet the Hon’ble Chief Minister of U.P. 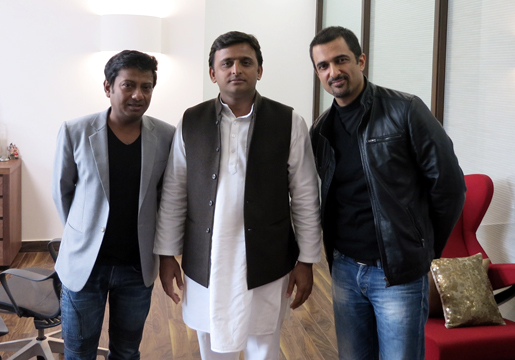 Shri Akhilesh Yadav in connection with the “Save Indie Cinema” movement. The meeting was positive and we hope that some space will be created for Film makers across the country to showcase their films. Rest of the day was filled with meeting friends, some site seeing, eating some great food at a local restaurant and buying some Gajak and Kebabs for back home. 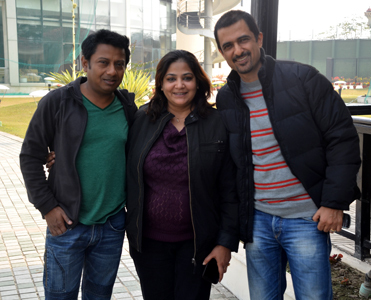 Sekhawats Yum food – With friend and director Onir…freaking out on Galawti’s, Kakori’s and Biryani at Sekhavats in Lucknow.